we love the cozy ambiance created by lighting a candle. everything immediately looks warmer and softer. 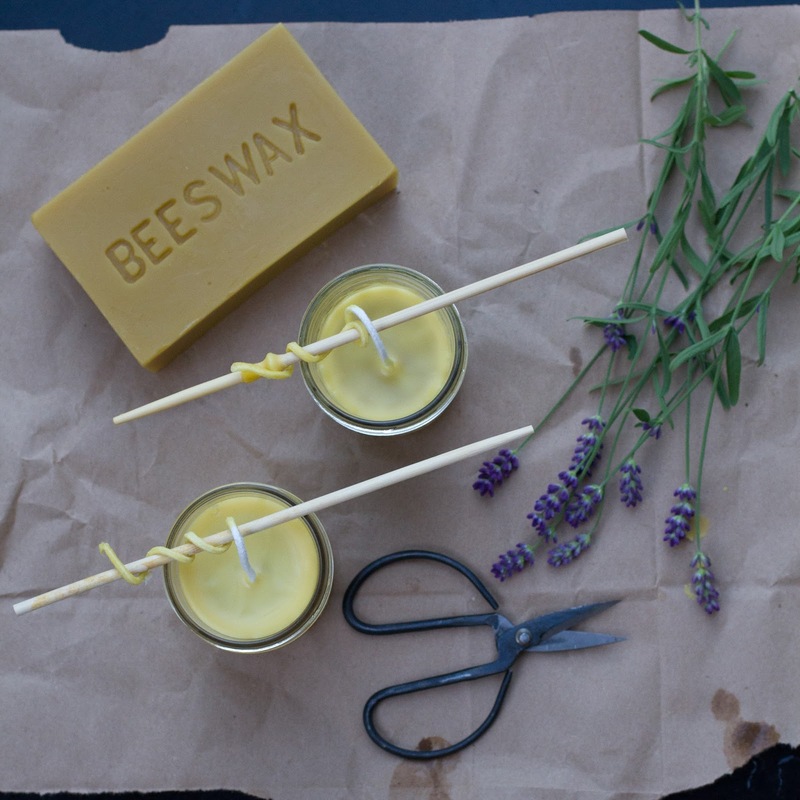 beeswax candles are a healthy, natural alternative to the artificially-scented paraffin candles often found in stores. in fact, the negative ions released from burning a beeswax candle can actually help to draw toxins out of the air. 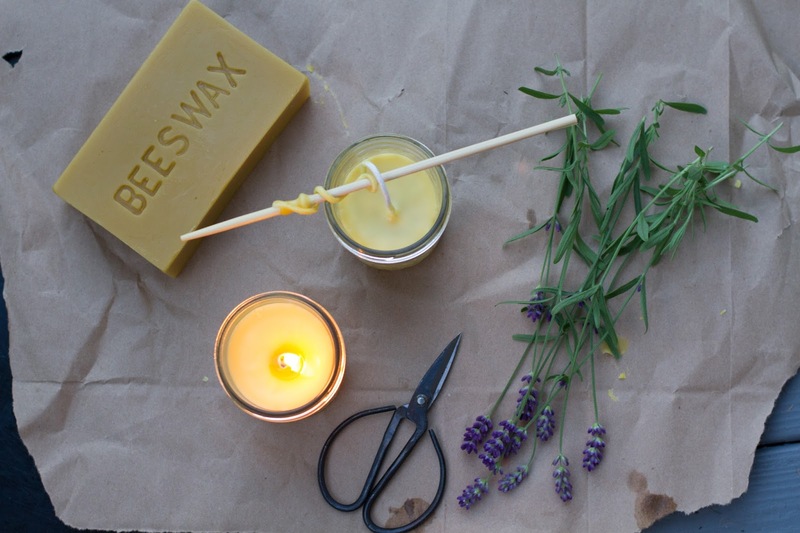 making your own beeswax candles is a fairly simple process (not to mention a great way to re-purpose your glass containers). 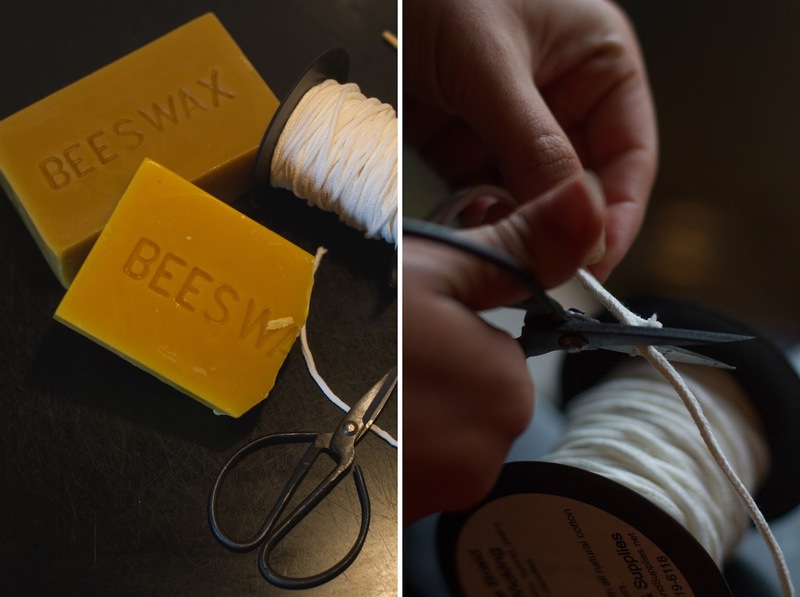 we highly recommend supporting your local beekeepers when seeking out your beeswax. we purchased our 1lb bricks from beverly bees. if you have trouble finding someone locally, mountain rose herbs is a great alternative. 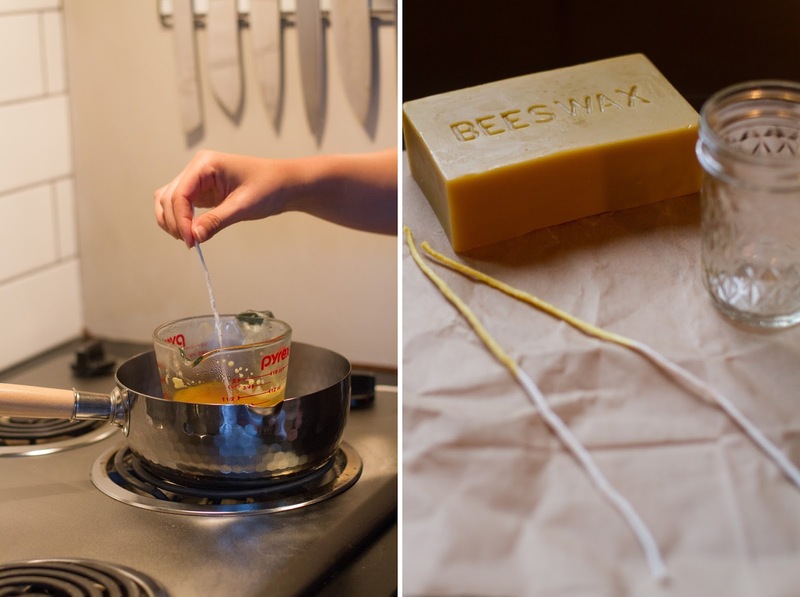 beeswax is a very hard wax with a high melting point. this can lead to a weak flame and unsightly cracks as the candle cools. 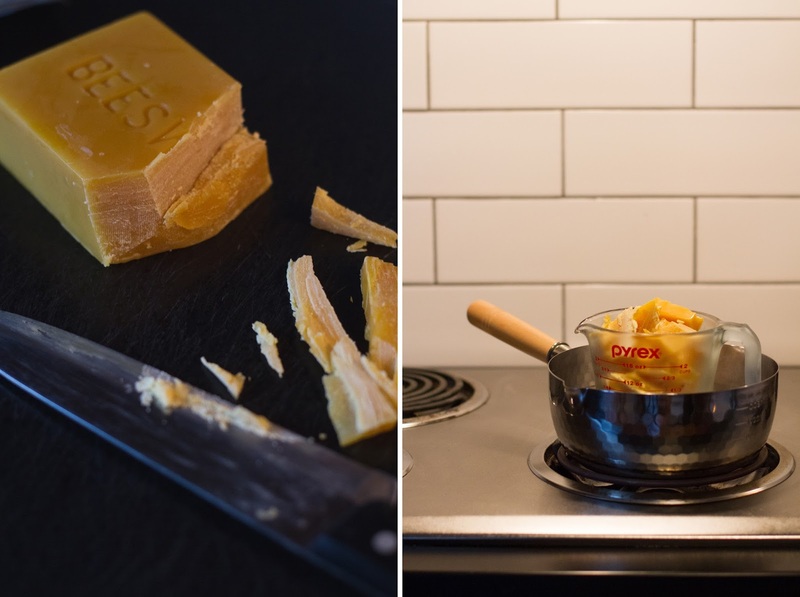 an easy fix for this is blending the beeswax with coconut or palm oil. you will want a 50/50 ratio of wax to oil. 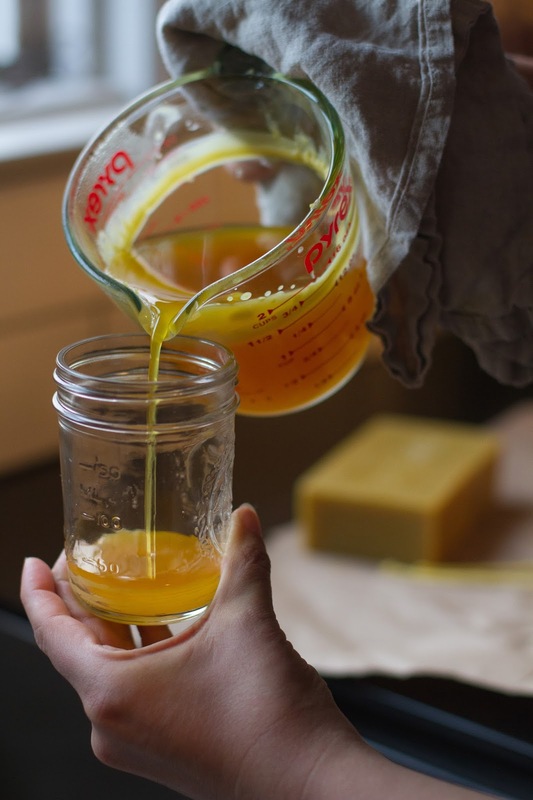 the size of your container (or number of candles you plan to make) will dictate the amount of beeswax and coconut oil you will require. 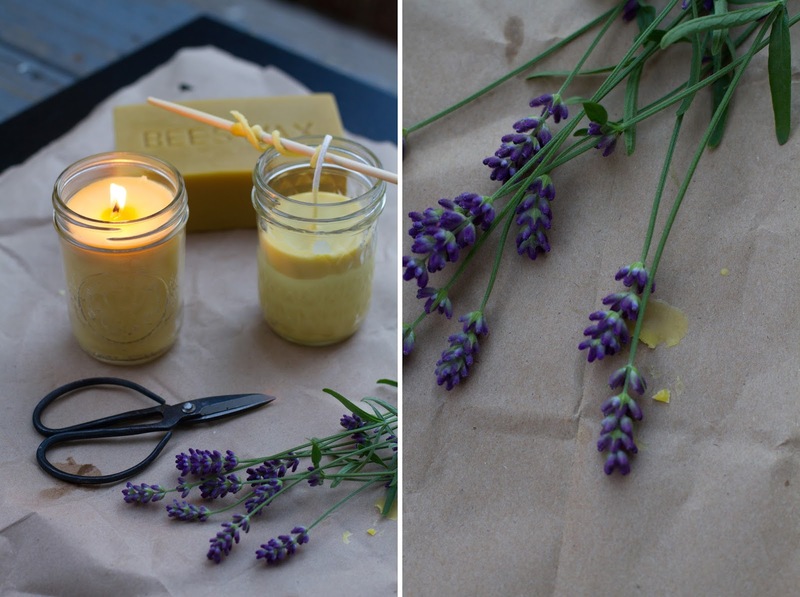 for our 2 small candles, we used a 1/2 lb of beeswax and about 1/2 cup of coconut oil. 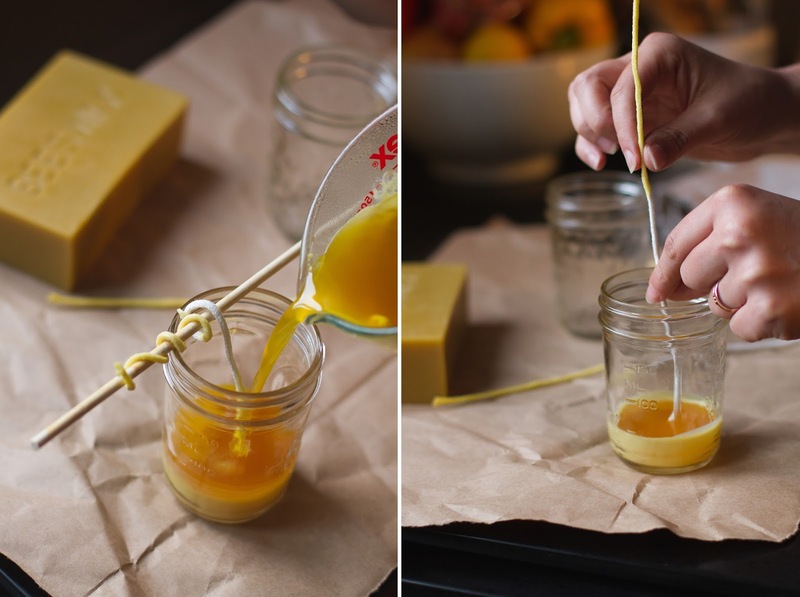 since beeswax candles are slow burning, you will need a fairly thick wick. 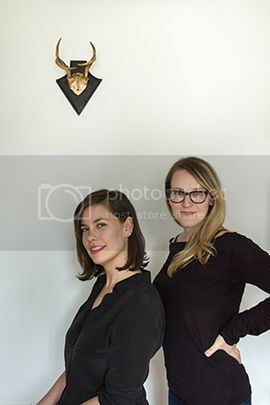 we used a #4 braided wick. cut the wick to be about 2 inches longer than your jar. 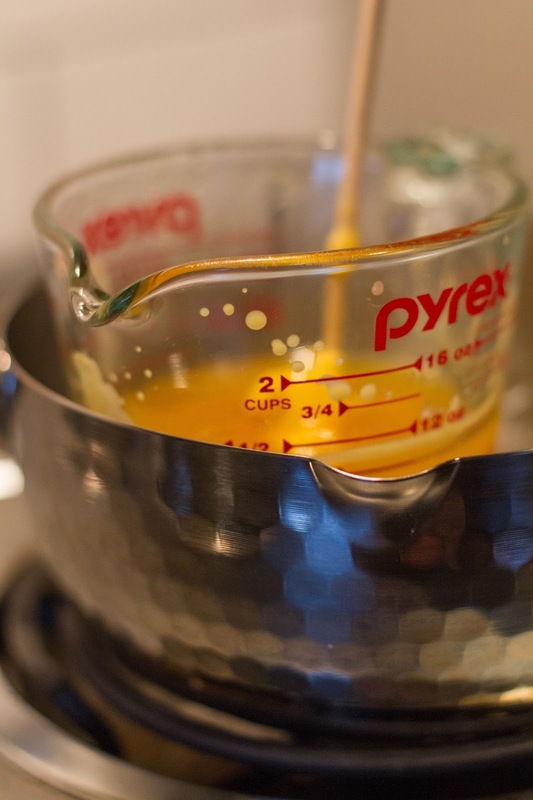 melt the beeswax in a double boiler over medium heat. after the wax has melted, gently dip your wick in the wax. lay flat to cool. 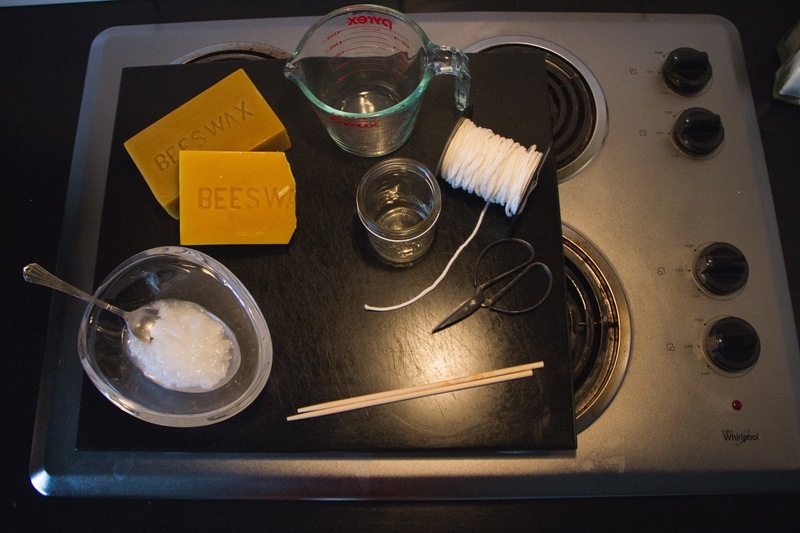 add the coconut oil to the wax using a skewer to slowly combine. once the mixture is fully melted, pour about a half inch into the bottom of your jar. immediately place your wick in the center. hold the wick in place until the wax begins to harden. rest a wooden skewer on top of the jar and wrap the remaining length of the wick around it. 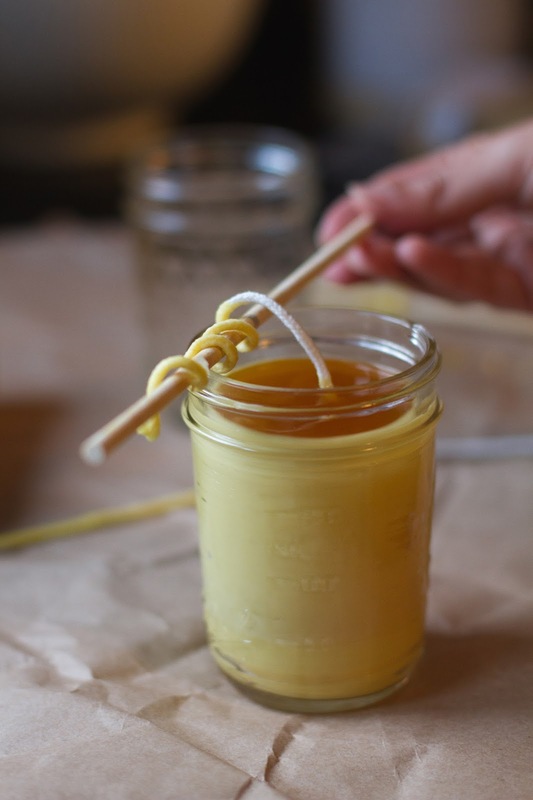 when the wick is secured and straight, finish pouring the wax mixture into the jar (you will want to leave a bit of room at the top). set the candle aside in a cool dry place to harden completely. once the candle has cooled, trim your wick to leave about a half inch of length. you are now ready to light your candle and enjoy it's subtle honey scent and warm golden glow.